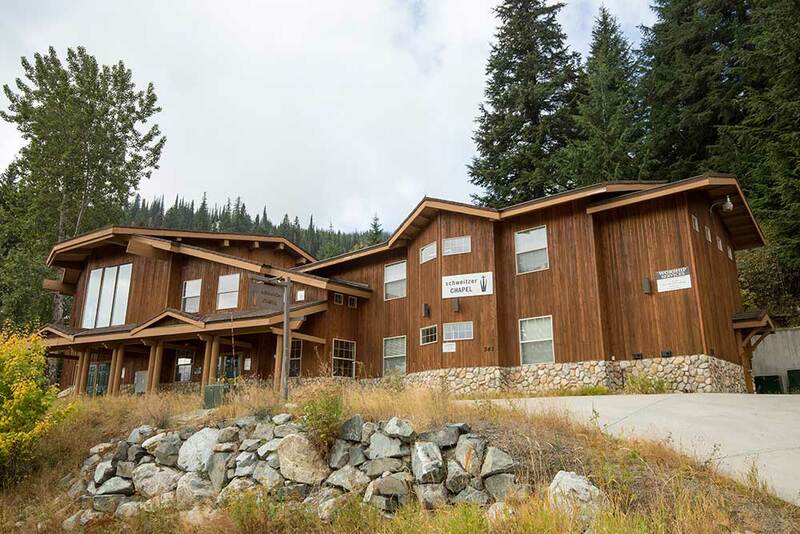 Your mountain-top retreat for youth gatherings & worship at Schweitzer Mountain. Schweitzer Chapel is located in the Schweitzer Mountain Resort Village at 347 NorthWest Passage Sandpoint, Idaho. The chapel can be accessed by road and has ski-in/ski-out access for intermediate and above. 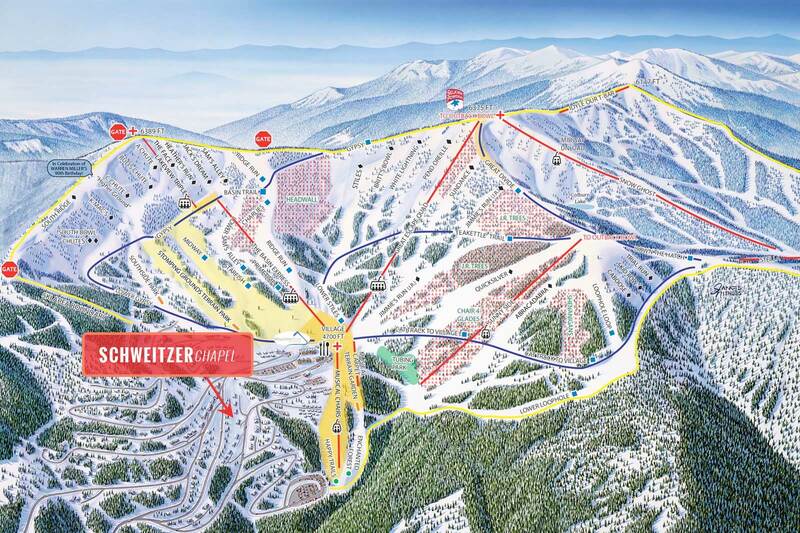 Follow the links below to find out more about Schweitzer Mountain Resort. For more information reserving the chapel for your group event, please check availability and request your reservations HERE ». We’re excited to hear from you and hopefully host your event or retreat here at Schweitzer Chapel! Just fill out the quick form below and we’ll get back to you promptly. There is an extensive network of biking, hiking, horseback riding, skiing, and snowshoeing trails onSchweitzer mountain, as shown in the map. Below the trail map is an interactive Google Earth map. 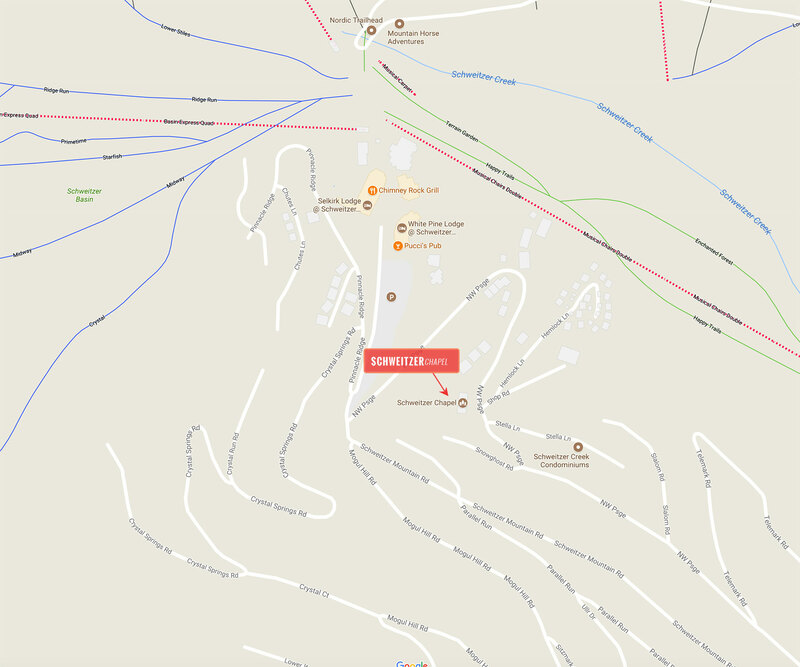 Additional maps of trails, including those at Schweitzer Mountain Resort can be found here.